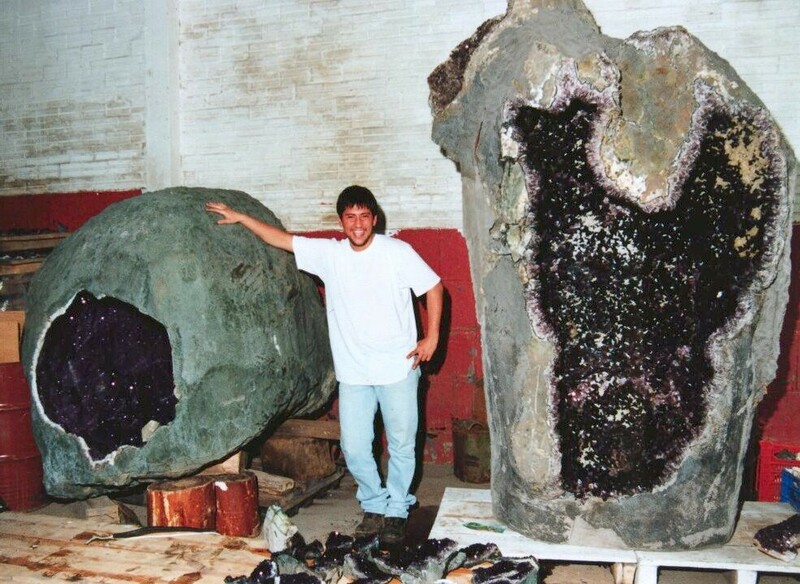 Amethyst Geodes was established in 1992 with only a 12 pound rock tumbler and has grown to be one of the largest and most respected rock shops in the nation. 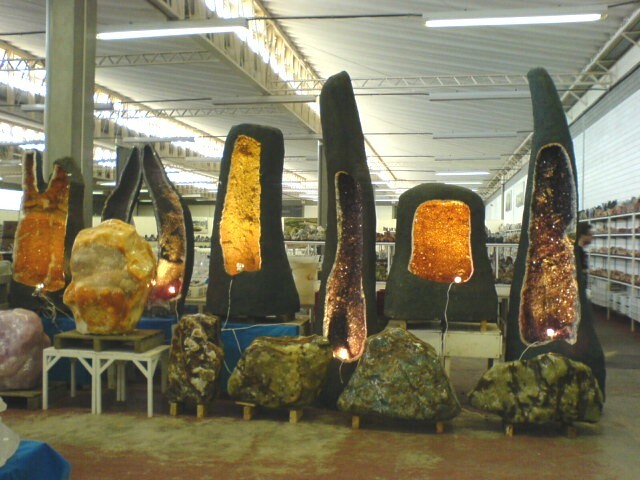 We specialize in Brazilian products including amethyst, agate book-ends, quartz crystals, gemstones, rough and finished mineral specimens, carvings, agate ends, small and large decorator pieces, and polished phantom crystals. Some of our inventory includes rough slabs, rough rocks, rough turquoise nuggets, frosted selenite clusters, pyrite specimens, tumbled stones, thick and thin slabs, Mexican and Australian opal rough, lapidary equipment (new and used), fossils, spheres , books and magazines. We sell by the piece or by the barrel, depending on your needs. 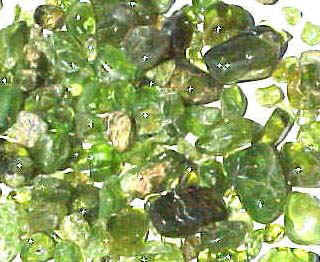 We have mine-direct contacts in Brazil and Mexico, as well as contacts with many dealers who own their own mines. Products can be ordered by e-mail, phone, or secure shopping cart, with payment by cash, check, money order, Visa, or MasterCard. Click on a category here, or a link below. Exotic Brazilian agate spheres 25% off! Real fancy gemstone chip necklaces...reasonable! Rare and amazing product. You will see them nowhere else!